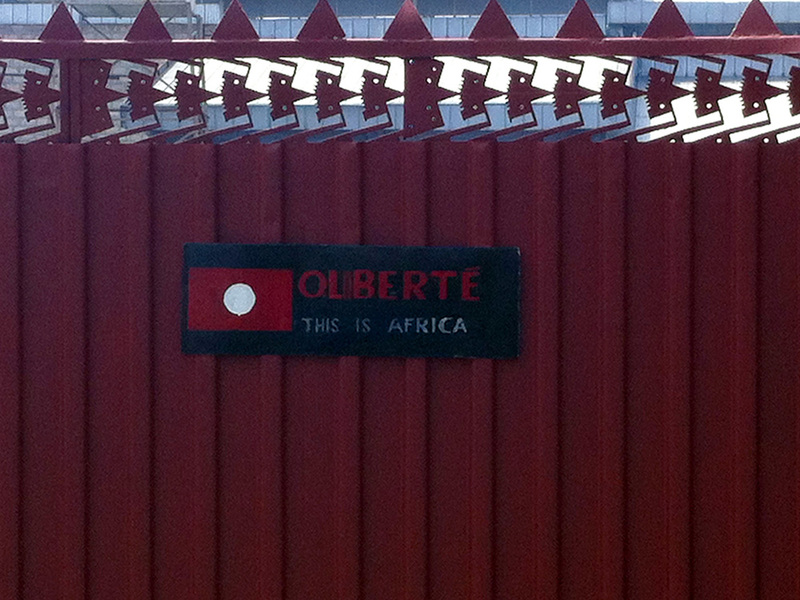 A little over a year ago, in early August 2012, we launched what had become a dream of our global team — an Oliberté factory to stand on its own. As much as we would like to say now that we knew it would be a sure thing, a guaranteed success, we didn’t. Factories rely on a number of things: dedicated, skilled workers; demand for product; sufficient machinery; lasting determination of an international team; to name a few. Plus, beyond just launching our own factory, we had even higher hopes. We wanted our factory to be a safe place for our team, with respectful treatment, good conditions, equal opportunity employment, above-and-beyond heath benefits, the chance to unionize — all while creating the shoes that we’ve come to know and love. Well, we’ve made it, beyond what we even could have hoped. In this update, we share how much we’ve grown (to support a team of almost 60 f/t employees; from 5,000 square feet of space to over 12,000 square feet; adding a canteen and lettuce and weekly doctor visits for health checks; and more). And, of course, thank you for your support. We couldn’t have done it without you all helping spread our story of sustainable manufacturing and craftsmanship in Africa far and wide. 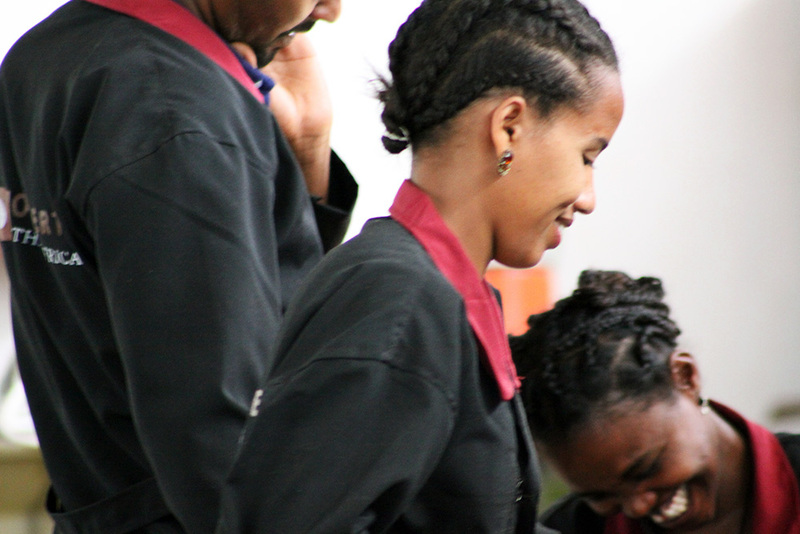 EMPLOYMENT: When we debuted the factory, we were at 15 employees. Since then, we have grown to 59 by the end of August 2013. This includes some staff for whom this is their first job, and our team has trained them in technical shoe-making skills. Also, in the last year, several employees have been promoted to higher ranking positions and more technically savvy roles. 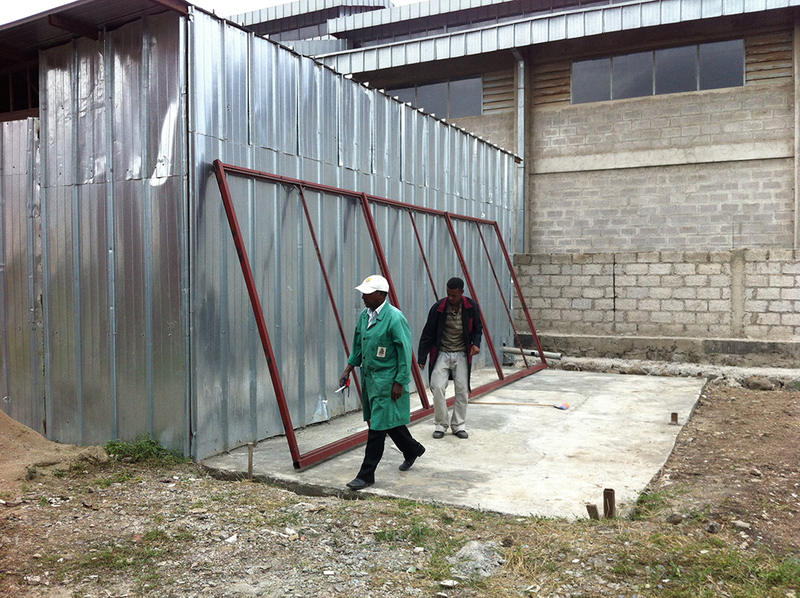 Our goal for phase one was to be able to support 25 workers, so we’ve far outshone that! And we’re happy to see employees who have been with us from day one rise to new positions, taking on new skills and stepping up to leadership roles. PRODUCTION: In our first year of manufacturing, we made roughly 15,000 pairs of boots, shoes, and sandals – much more than we even planned on having to make. This includes shoes for FW12, SS13, our soon-to-debut (and already in some brick-and-mortar stores) FW13 styles, and even our SS14 samples. Over the last year, most of this has been for our wholesale and online customers, but they’ve also included some rad partnerships with iPath and Invisible Children. 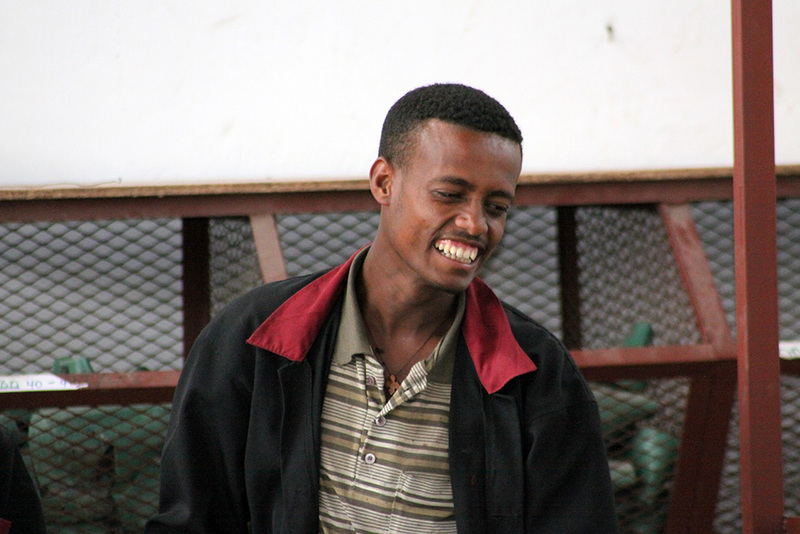 MACHINES: We now have 43 machines at our Addis Ababa, Ethiopia factory, including 22 stitching machines, 3 swing-beam cutting presses, a “toepuff attaching machine” and two rubber sole pressing machines. Much of our shoes are actually crafted by hand, which allows for the unique characteristics of the styles – from stitching to piecing to patternmaking. But to make the best product possible, save our staff from unnecessary labor, and to make things like the rubber soles, hand-guided machines are a necessary investment. FACTORY DEVELOPMENTS: In the last six months, we have expanded from one building of 5,000 square feet to two buildings and a small side building totaling 11,500 square feet. 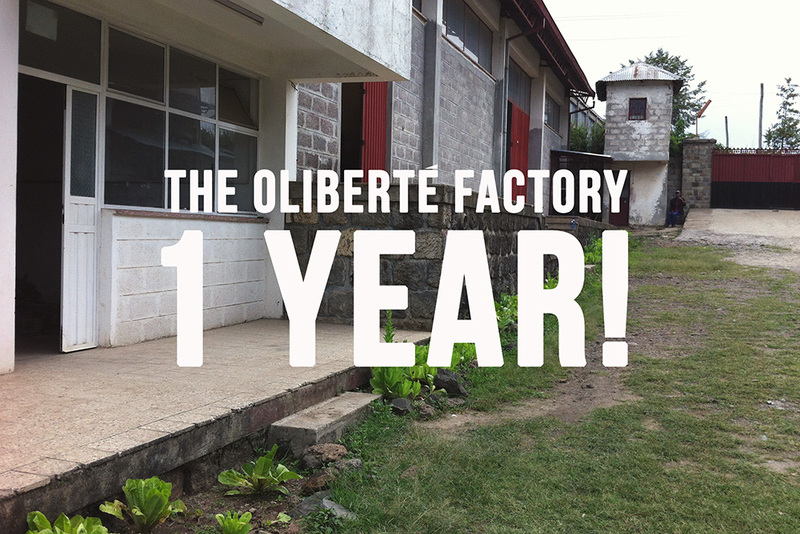 This has allowed us to have one entire building for manufacturing, the other for offices, storage and packing, and one building for making rubber and outsoles. In addition we have added a dining room, health clinic, additional bathrooms and change rooms alongside the main factory floor. EMPLOYEE BENEFITS: Since we debuted, we have had to balance our production output with making sure to continue extending benefits to our team. This has included several things: 1) We provide factory coats for our employees to wear, which creates a sense of pride and teamwork as well as protects clothes. 2) We have a doctor who comes to see our workers once a week. 3) We guarantee a 90-day, paid maternity leave – which we are excited to say is currently being used by one of our first employees! 4) We include a transportation allowance along with fair pay. 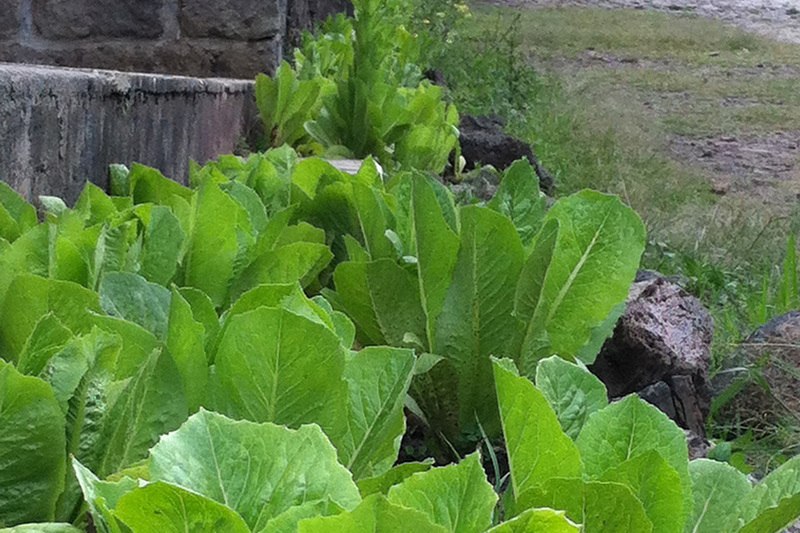 5) We grow lettuce and coffee beans on the factory land for general use, and our manager Feraw also just planted garlic. COMMUNITY DEVELOPMENTS: 1) We have become a member of the Ethiopian Leather and Leather Product Association. 2) We have encouraged the opportunity for our team to develop a workers’ union, which is currently being assembled. At the end of this year, we just want to thank our team in Addis Ababa, Ethiopia who have worked extremely hard to help see this all come to be – and also those who have helped share our shoes and story with their friends and family around the world. Ameseginalehu. All photos by Ethiopian photographer Kinfe Sahlu Gulte, owner of Kinfe Film Production. Read more behind the scenes: THE 6-MONTH SEMIANNUAL REPORT. NOTE: In the original version of this report, the number of employees was erroneously recorded as 72. Employee numbers have fluctuated since the start of the factory, and it stands at 59 at the end of August 2013.